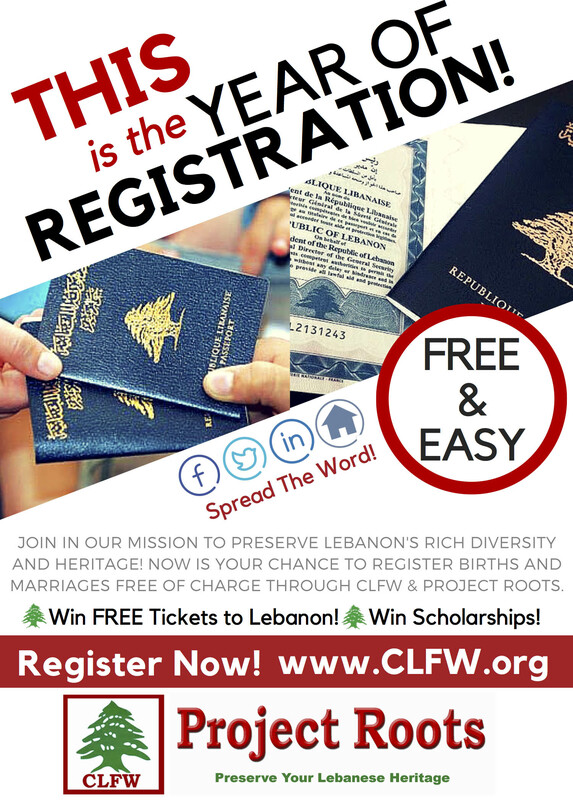 CLFW & Project Roots have announced September 2015-September 2016 as the Year of Registration! This endeavor was endorsed by all bishops, Lebanese American clubs and organizations, and Lebanese parties in the USA. - Posting the above flyer on your website, in social media, in bulletins, in newsletters and all publications, at events including picnics and festivals, during masses, etc. - Being proactive and promoting the year of registration passionately in order to motivate people to act, highlighting our objective: PRESERVING DIVERSITY IN LEBANON.